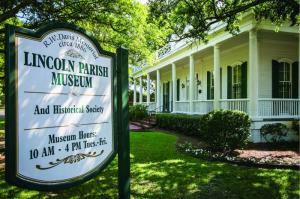 Visit the Lincoln Parish Museum & Historical Society to learn more about historic Lincoln Parish. Built in 1886, the Kidd-Davis home is housed with beautiful dolls, furniture, and murals. 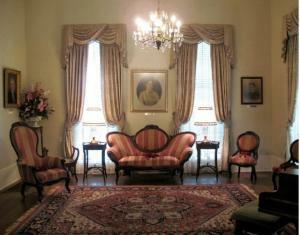 In the gallery, visitors can view clothing, photos & drawings, kitchen supplies, and artifacts unique to the late 1800s era. 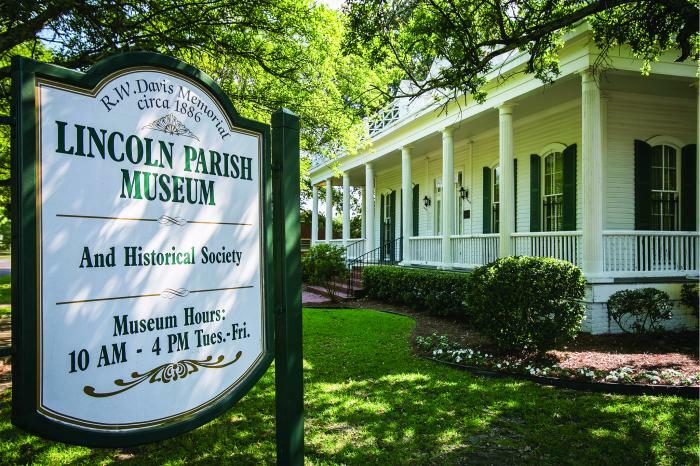 The museum's "Walls That Talk" features seven murals showcasing vignettes from Lincoln Parish history, along with voice recordings of parish citizens telling stories. Check our calendar of events for dates of the museum's Spring & Fall Chautauqua Series, an educational lecture series inspired by the historic Louisiana Chautauqua.